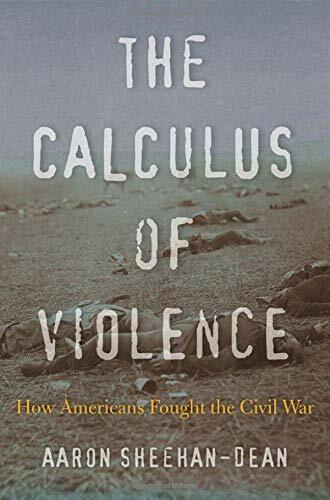 • The Calculus of Violence: How Americans Fought the Civil War by Aaron Sheehan-Dean (Harvard UP, 2018). The Calculus of Violence: How Americans Fought the Civil War represents yet another call to scrap the traditional interpretation of the Civil War's violence and destruction as a linear progression from conciliation/limited war to hard/total war. Instead, author Aaron Sheehan-Dean wades into the war's endless cascade of contradictions and recognizes that the worst aspects of the conflict were present from the start but also that restraint was evident at every stage. The book "demonstrates that this notoriously bloody war could have been much worse. Military forces on both sides sought to contain casualties inflicted on soldiers and civilians. In Congress, in church pews, and in letters home, Americans debated the conditions under which lethal violence was legitimate, and their arguments differentiated carefully among victims―women and men, black and white, enslaved and free. Sometimes, as Sheehan-Dean shows, these well-meaning restraints led to more carnage by implicitly justifying the killing of people who were not protected by the laws of war. As the Civil War raged on, the Union’s confrontations with guerrillas and the Confederacy’s confrontations with black soldiers forced a new reckoning with traditional categories of lawful combatants and raised legal disputes that still hang over military operations around the world today." 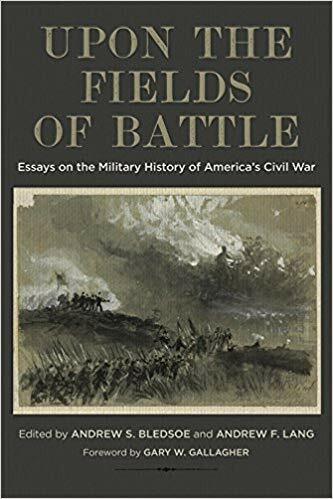 "In examining the agonizing debates," both domestic and international, "about the meaning of a just war in the Civil War era, Sheehan-Dean discards conventional abstractions―total, soft, limited―as too tidy to contain what actually happened on the ground." 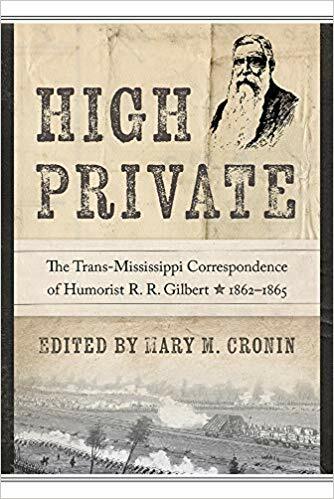 • High Private: The Trans-Mississippi Correspondence of Humorist R. R. Gilbert, 1862–1865 edited by Mary M. Cronin (UT Press, 2018). Mary Cronin's High Private: The Trans-Mississippi Correspondence of Humorist R. R. Gilbert, 1862–1865 explores the life, military service, and journalistic career of Vermont-raised but passionately Confederate Rensselaer Reed Gilbert (the book's title refers to Gilbert's newspaper nom de plume). According to Cronin, Gilbert "was one of the most prolific newspaper correspondents during the years of the U.S. Civil War. He penned several hundred news and editorial columns, as well as comic sketches, for the Houston Tri-Weekly Telegraph." Cronin has written about Gilbert before in a journal article and as a contributor to the essay anthology Knights of the Quill, and that earlier scholarship is significantly expanded upon in the first two chapters of High Private. In addition to serving a biographical purpose, those opening sections (which together run over fifty pages) also delve into the comic nature of much of his writing. The book "provides new insight into this form of journalism but also addresses military humor produced while the author was in uniform. When he returned to civilian life, Gilbert wrote chiefly from various military commanders’ headquarters. His work records the social and political experiences of soldiers and civilians living in the Trans-Mississippi region, especially after it was cut off from the rest of the Confederacy following the capture of New Orleans in 1862." More from the description: "Through parody and satire, Gilbert’s often sharp pen revealed uncomfortable truths, attacked sentimentality and pretension, provided emotional release for those living in the Trans-Mississippi area—particularly Texas, Louisiana, and Arkansas—and served as a critical voice for the region. That Gilbert remains readable today is a testament to his imagination, creativity, and power of observation. 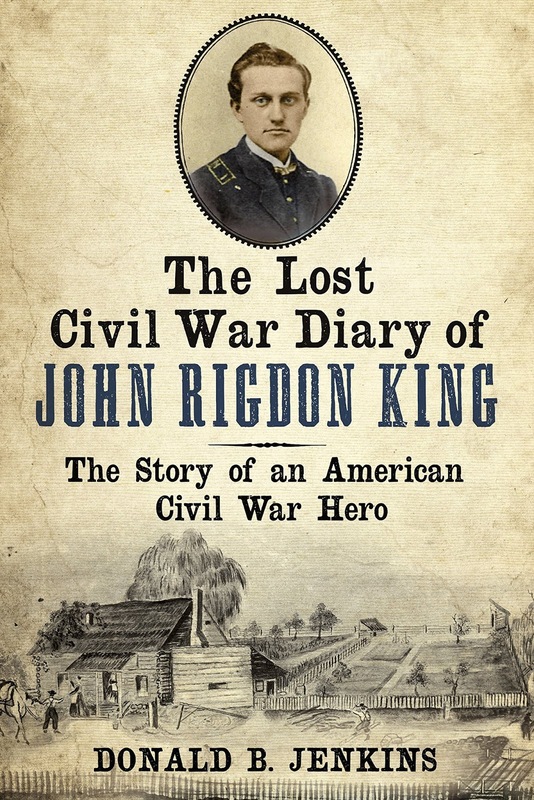 In writing about a journalist who covered both military and civilian affairs, Cronin reveals not only a talented writer but also an understudied region in the American Civil War through the keen eyes and pen of a working journalist." Introduced with editorial commentary and arranged in yearly chapters, Gilbert's extensive wartime correspondence is transcribed in full and also annotated. Cronin’s "extensive look at Gilbert’s life and work introduces readers to the forgotten voice of a Trans-Mississippi comic, correspondent, and Southern advocate" and her work significantly "expands research into the field of Civil War-era humor writing and news reporting." • The War for the Common Soldier: How Men Thought, Fought, and Survived in Civil War Armies by Peter S. Carmichael (UNC Press, 2018). 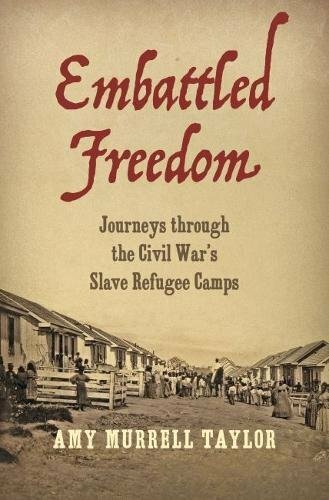 While there's no particular shortage of books describing and interpreting the experiences of Civil War soldiers in camp, on the march, and on the battlefield, new ideas and perspectives are always welcome. 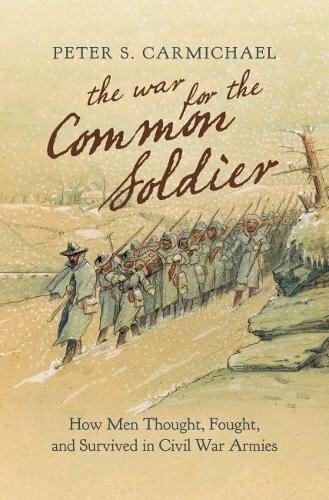 Central to Peter Carmichael's new book The War for the Common Soldier is the author's broad-themed attempt to answer the age old question of how Civil War soldiers coped with "the brutal and unpredictable existence of army life." From the description: "Based on close examination of the letters and records left behind by individual soldiers from both the North and the South, Carmichael explores the totality of the Civil War experience--the marching, the fighting, the boredom, the idealism, the exhaustion, the punishments, and the frustrations of being away from families who often faced their own dire circumstances. Carmichael focuses not on what soldiers thought but rather how they thought. In doing so, he reveals how, to the shock of most men, well-established notions of duty or disobedience, morality or immorality, loyalty or disloyalty, and bravery or cowardice were blurred by war." Chapter headings "Comrades, Camp and Community"; "Providence and Cheerfulness"; "Writing Home"; "Courage and Cowardice"; "Desertion and Military Justice"; "Facing the Enemy and Confronting Defeat"; and "The Trophies of Victory and the Relics of Defeat" hint at the wide range of discussion. More: "Digging deeply into his soldiers' writing, Carmichael resists the idea that there was "a common soldier" but looks into their own words to find common threads in soldiers' experiences and ways of understanding what was happening around them. 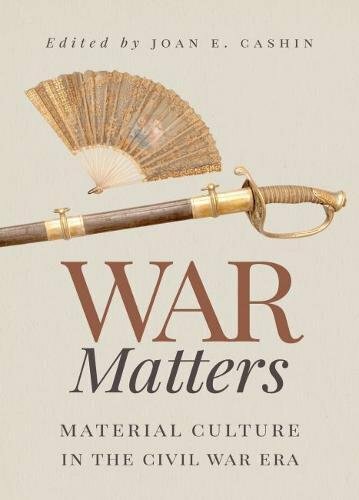 In the end, he argues that a pragmatic philosophy of soldiering emerged, guiding members of the rank and file as they struggled to live with the contradictory elements of their violent and volatile world." 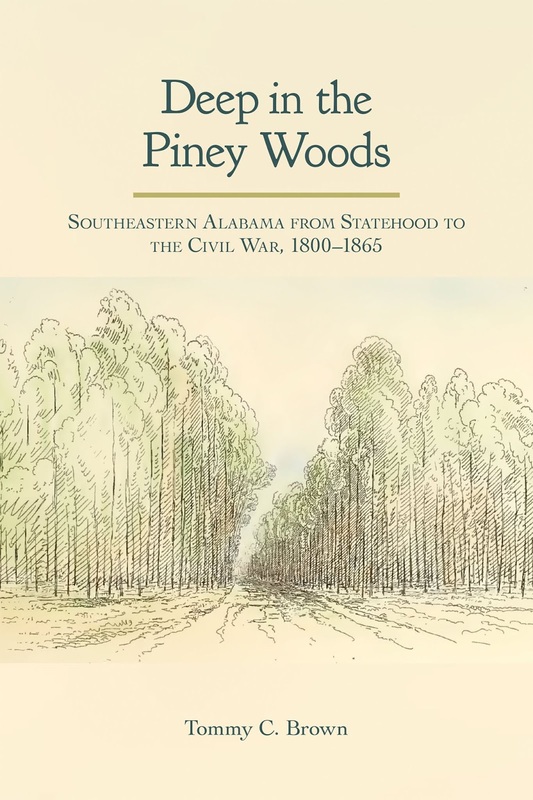 • Deep in the Piney Woods: Southeastern Alabama from Statehood to the Civil War, 1800–1865 by Tommy C. Brown (Univ of Ala Press, 2018). 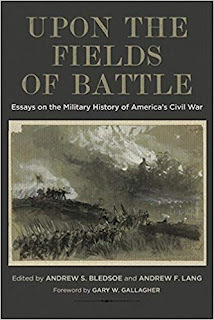 Scholarly trends in Civil War home front studies are always in flux and that rarely results in the various sub-regions within states being accorded equal coverage. For Alabama, the recent explosion of Southern Unionist scholarship has diverted much of the attention from the Gulf Coast and black belt to the northern counties. Though many readers will be familiar with Mark Wetherington's superb 2005 study Plain Folk's Fight: The Civil War and Reconstruction in Piney Woods Georgia, Tommy Brown contends in his new book Deep in the Piney Woods: Southeastern Alabama from Statehood to the Civil War, 1800–1865 that the wiregrass region "is one of the most understudied areas in Alabama history." 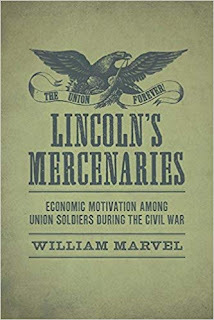 His study "offers a comprehensive and long overdue account of a historically rich region of the state, challenging many commonly held assumptions about the area’s formation and settlement, economy, politics, race relations, and its role in both the secession of the state and the Civil War." "Historians routinely depict this part of the state as an isolated, economically backward wilderness filled with poor whites who showed little interest in supporting the Confederacy once civil war erupted in 1861." However, like Wetherington did in his own study of five south-central Georgia wiregrass/piney woods counties, Brown "challenges those traditional interpretations, arguing instead that many white Alabamians in this territory participated in the market economy, supported slavery, favored secession, and supported the Confederate war effort for the bulk of the conflict, sending thousands of soldiers to fight in some of the bloodiest campaigns of the war." More from the description: "This thorough and expansive account of southeastern Alabama’s role in the Civil War also discusses its advocacy for state secession in January 1861; the effects of Confederate conscription on the home front; the economic devastation wrought on the area; and the participation of local military companies in key campaigns in both the eastern and western theaters, including Shiloh, the Peninsula Campaign, the Overland Campaign, Atlanta, and Franklin-Nashville. Brown argues that the lasting effects of the war on the region’s politics, identity, economy, and culture define it in ways that are still evident today." Established in the early 1800s on treaty land acquired from the Dakota, Fort St. Anthony (renamed Fort Snelling in honor of Col. Josiah Snelling of the 5th U.S. Infantry) was completed in 1825 and became a key component of the chain of fortifications that shielded the Old Northwest frontier of the United States. Situated on a high bluff overlooking the confluence of the Minnesota and Mississippi rivers, the massive stone fort served the country off and on for many decades before finally being decommissioned in 1946. The surviving facilities eventually fell into disrepair, but today the site is run as a Minnesota Historical Society education center, the stone fort having been remarkably restored to a state resembling its original appearance. The most significant military post in Minnesota, Fort Snelling would feature prominently in the Civil War years. 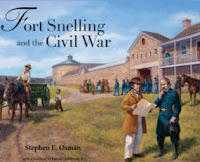 This wartime history is fully recounted in book-length format for the first time in Stephen Osman's stunning Fort Snelling and the Civil War. Osman, a retired MHS historian who managed Historic Fort Snelling for over thirty years, clearly developed an expert knowledge of and passion for the military post's history during his long tenure there. Fort Snelling and the Civil War appropriately focuses on the two most important responsibilities the post fulfilled during 1861-65—(1) the processing of Minnesota troops for distant service against Confederate armies and (2) the direction of the country's military response to internal threats from the Santee Sioux and other hostile tribal groups in the surrounding region. Approximately 24,000 volunteers and draftees passed through Fort Snelling on their way to the fighting fronts to confront either Confederates in all three major Civil War theaters or Indian threats that materialized in Minnesota and the Northern Plains. In addition to processing, training, and equipping recruits, the fort was the region's chief administrative and logistical hub. When existing facilities proved inadequate to the scale of operations, the fort rapidly expanded outside its stone walls and tower. During the war years, wooden warehouse, barracks, hospital, armory, prison, and other structures were constructed west of the old stone fort. Each stage of this dramatic physical expansion is documented at great length by Osman and his detailed text descriptions are supported by numerous maps, period photographs, and firsthand accounts. After the Great Sioux Uprising of 1862 resulted in the indiscriminate murder of hundreds of Minnesota settler families at the hands of Eastern Dakota (a.k.a. Santee Sioux) angry at the federal government's recent neglect of its treaty obligations, panic ensued in the state and Fort Snelling coordinated the military response that both quelled the uprising and expanded the war into the Northern Plains. The actual fighting is not covered in the book, but the fort's central role in directing affairs is thoroughly covered in evenhanded fashion. In line with the views of other historians, Osman credits Minnesota politician turned volunteer colonel (and later general) Henry Hastings Sibley for leading an effective campaign. A significant section of the book also deals with the large enclosed refugee/internment camp that was established near the fort to house surrendered Dakota and other native groups (whether they participated in the uprising or not) before final removal was approved. Also explored at great length are soldier life at the fort and the mutually beneficial relationship that developed during the war between the military authorities and nearby civilians. Practically every possible context of soldier duty and experience at the fort are discussed in the book, including training, living conditions, entertainment, food, religious life, and health along with darker aspects such as alcohol abuse and violent crime. As was the case in every fort located in populated areas, Minnesota civilians provided valuable support networks (ex. assistance from the state sanitary commission, local aid societies, etc.) while also benefiting themselves from lucrative army supply, construction, and transportation contracts. Most books that will never realize great acclaim for their authors are labors of love to some degree, but this study really takes it to another level. In addition to his exhaustive research and expansive narrative, Osman packs his book with an incredible number of rarely-seen images. There's seemingly a photograph, map, or visual aid of some kind on every other page. The publisher also deserves a great deal of credit for sparing no expense in presenting all of this material in an arresting package. Flaws are few. Not related to the material itself, the chief complaint (if one exists) is with the relative unwieldiness of the volume, as such a thick, very heavy paperback published in 9x11-inch landscape format is difficult to handle comfortably during reading. Also, though the author is upfront about the sprawling Dakota War of 1862-65 lying outside the scope of his already dense study, some kind of summary of those events would have been helpful for newer readers in need of more context for the fort's Civil War era activities and expansion. 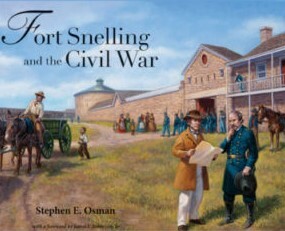 One never knows, of course, but it's difficult to imagine a future study of Fort Snelling and the Civil War that could replace Osman's book. Anyone with a deep interest in Civil War Minnesota (or Minnesota history in general), the Dakota Wars, and Trans-Mississippi frontier forts will want to own a personal copy of this exceptionally detailed and lovingly crafted pictorial and narrative history of Fort Snelling's Civil War service. It doesn't take new Civil War readers long before they are confronted with the stark contrast between the stability and effectiveness of the Confederate high command structure in the East and the self-defeating constant flux and dysfunction embodied in the top leadership in the western theater. In the context of western Confederate generals who occupied high command positions for a long enough period of time to have a singularly harmful impact on the course of the war, Lieutenant General Leonidas Polk is surely second only to Braxton Bragg. While Earl Hess's recent military biography of Bragg had some success in revising the traditional view of that general's martial legacy, no one has attempted a similarly in-depth reappraisal of Polk. However that situation will change early next year with the publication of Huston Horn's Leonidas Polk: Warrior Bishop of the Confederacy (UP of Kansas, Feb 2019). For those unfamiliar with Polk's pre-Civil War background, the book description offers a nice summary. "Leonidas Polk was a graduate of West Point who resigned his commission to enter the Episcopal priesthood as a young man. At first combining parish ministry with cotton farming in Tennessee, Polk subsequently was elected the first bishop of the Louisiana Diocese, whereupon he bought a sugarcane plantation and worked it with several hundred slaves owned by his wife. Then, in the 1850s he was instrumental in the founding of the University of the South in Sewanee, Tennessee. When secession led to war he pulled his diocese out of the national church and with other Southern bishops established what they styled the Protestant Episcopal Church in the Confederate States of America. Polk then offered his military services to his friend and former West Point classmate Jefferson Davis and became a major general in the Confederate Army." Immediately elevated to an important department command in the West, Polk would go on to participate in most of the theater's major campaigns and battles as a corps/small-army level commander until his grisly June 1864 death at Pine Mountain, Georgia. While no one today views him as a particularly capable general officer (or at least one fit for the many high-level positions he held during the war), Polk was apparently well-regarded by many of those that served under him, subordinate officers and common soldiers alike. A long-standing critic of Bragg and notable schemer against the controversial army commander, he was also a divisive figure off the battlefield. It will be interesting to see how Horn will approach Polk's Civil War service and war record. Jacket blurbs are notorious for overstatement, but it is noteworthy that William C. Davis feels that Horn's treatment is "the best Confederate military biography of recent years." I don't know of any previous Civil War work from Horn, but that doesn't mean he won't produce a masterpiece. On a trivia note, I wonder if he's related to Stanley Horn. It is somewhat interesting that he shares a hybrid professional identity with his subject, he being a journalist and Episcopal minister while Polk was a general and Episcopal bishop. 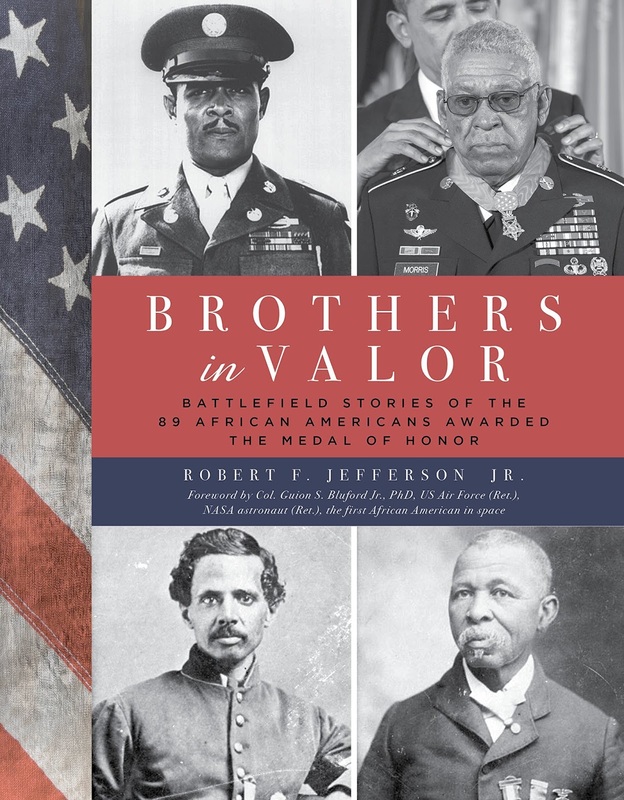 • Brothers in Valor: Battlefield Stories of the 89 African Americans Awarded the Medal of Honor by Robert F. Jefferson, Jr. (Lyons Pr, 2018). "Since the American Civil War, scores of African Americans have served with great distinction. Through thousands of historical accounts, photographs, and documentary evidence," Robert Jefferson's Brothers in Valor "introduces the 89 black soldiers who continued forward when all odds were against them." The book "paints a vivid portrait of African-American soldiers who carried the flag of freedom and how they reshaped the very definition of courage under fire during some of the most harrowing moments in United States military history. In turn, their courage and determination left an indelible mark on the American portrait." Chapters cover the Civil War, Indian Wars, Spanish-American War, WW1, WW2, the Korean Conflict, and Vietnam. From the full list of recipients at the back of the book, twenty-five MOH awards were from the Civil War. 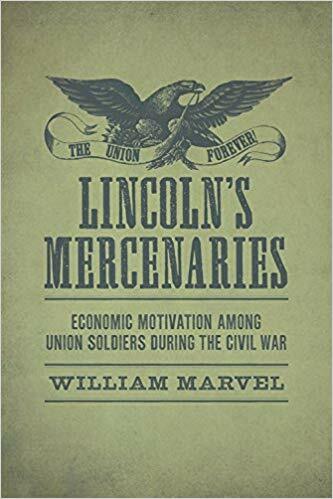 Selecting from the list, the opening Civil War chapter focuses on the lives and service of William H. Carney (Fort Wagner, 1863), Christian A. Fleetwood (Chaffin's Farm, 1864), Milton Holland (Chaffin's Farm, 1864), Andrew Jackson Smith (Honey Hill, 1864), and John H. Lawson (Mobile Bay, 1864). by John Reeves (Rowman & Littlefield, 2018). The reputations of major historical figures often follow an undulating course according to the changing cultural zeitgeist and many other factors that tell us just as much about the judges as they do those put in the dock. This is certainly the case with Robert E. Lee. While later generations of Americans would find much to admire in Lee, the years immediately following the end of the Civil War were filled with attacks on the character and moral standing of the Confederacy's leading general. 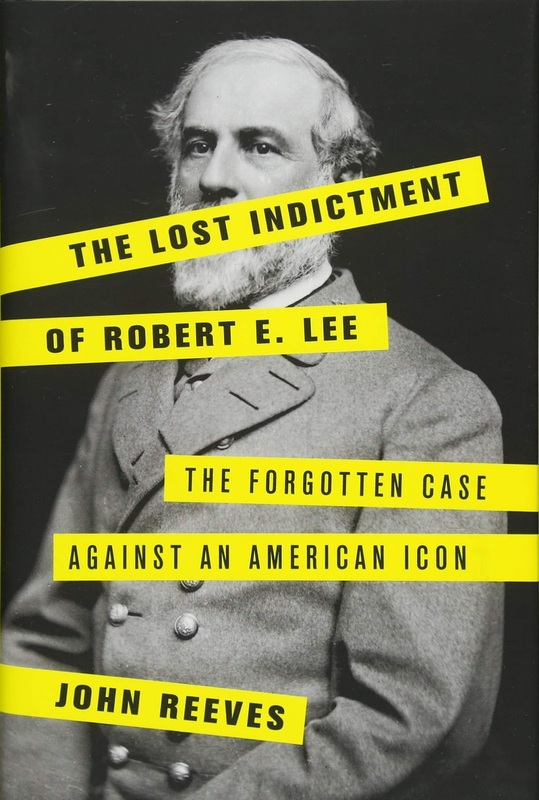 It is this early period in the development of Lee's historical legacy that is the subject of John Reeves's The Lost Indictment of Robert E. Lee. From the description: "Immediately after the Civil War, ... many northerners believed Lee should be hanged for treason and war crimes. Americans will be surprised to learn that in June of 1865 Robert E. Lee was indicted for treason by a Norfolk, Virginia grand jury. In his instructions to the grand jury, Judge John C. Underwood described treason as “wholesale murder,” and declared that the instigators of the rebellion had “hands dripping with the blood of slaughtered innocents.” In early 1866, Lee decided against visiting friends while in Washington, D.C. for a congressional hearing, because he was conscious of being perceived as a “monster” by citizens of the nation’s capital. Yet somehow, roughly fifty years after his trip to Washington, Lee had been transformed into a venerable American hero, who was highly regarded by southerners and northerners alike." 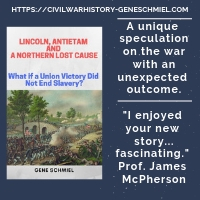 The book "tells the story of the forgotten legal and moral case that was made against the Confederate general after the Civil War" and "illuminates the incredible turnaround in attitudes towards the defeated general by examining the evolving case against him from 1865 to 1870 and beyond." 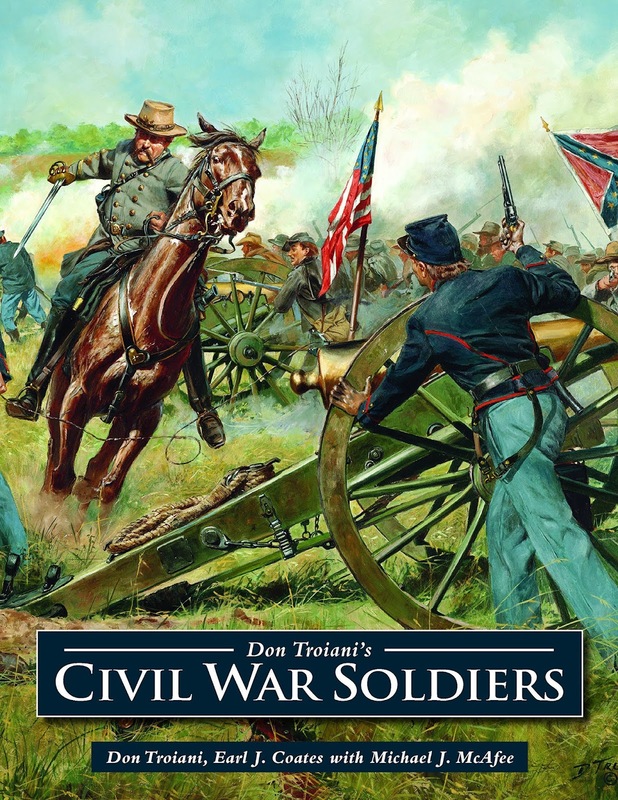 • Don Troiani's Civil War Soldiers by Don Troiani, Earl J. Coates, and Michael J. McAfee (Stackpole, 2017). During the 1990s, Civil War artwork peaked in popularity alongside book publishing. Art calendars and advertising could be found all over the place and the original oils went for small fortunes. Even before factoring in matte and framing costs, the numbered prints were outside my poor student means. One of the biggest figures in this art scene was Don Troiani, recognized for his battle scenes along with his exhaustively researched and intricately detailed individual officer and soldier portrayals on canvas. A new collection of the latter (27 Confederate. 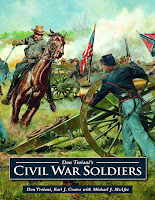 and 22 Union) are featured in Don Troiani's Civil War Soldiers [see the table of contents at the title link above for a complete list]. The range of soldier and officer subjects is impressive—with the three major branches (infantry, cavalry, and artillery) and regulars, volunteers, militia, USCT, specialist and support troops, colorbearers, and more all represented. The large-dimension volume from Stackpole is beautifully presented. The heavy, glossy 8.5" x 11" pages allow full appreciation of all the realistic detail and vivid colors associated with each art reproduction. Every portrait is supported by extensive background and explanatory text contributed by Coates and McAfee as well as captioned photographs (over 300 in number) of the uniforms, accoutrements, and other historical artifacts that Troiani used as painting props. Back in February when I reviewed James White's New Bern and the Civil War (2018) and noted that it offered the first serious book-length treatment of the 1863-64 Confederate offensives in eastern North Carolina, I had no inkling that Hampton Newsome was finishing up a similar project of his own. It's another example of what I call the 'nothing-then-two-books' pattern that comes up in the Civil War military history literature frequently enough to be noticeable. While White's slim volume took the broader overview approach, Newsome's study will focus on the 1864 offensives. The Fight for the Old North State: The Civil War in North Carolina, January-May 1864 (Kansas, Feb 2019) recounts "a momentous series of events as the Confederates, threatened by a supply crisis and an emerging peace movement, sought to seize Federal bases in eastern North Carolina. 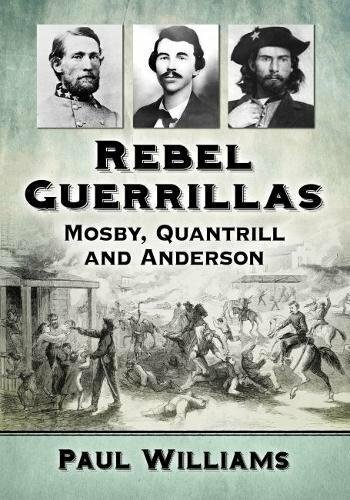 This book tells the story of these operations—the late war Confederate resurgence in the Old North State." A number of Confederate offensive operations conducted over the first half of the year are covered. These would have varying degrees of success. "Using rail lines to rapidly consolidate their forces, the Confederates would attack the main Federal position at New Bern in February, raid the northeastern counties in March, hit the Union garrisons at Plymouth and Washington in late April, and conclude with another attempt at New Bern in early May. The expeditions would involve joint-service operations, as the Confederates looked to support their attacks with powerful, homegrown ironclad gunboats." Analysis of events also ranges beyond the battlefield. "Newsome does not neglect the broader context, revealing how these military events related to a contested gubernatorial election; the social transformations in the state brought on by the war; the execution of Union prisoners at Kinston; and the activities of North Carolina Unionists." I can't wait to read it. Fortunately, it will be out relatively soon. 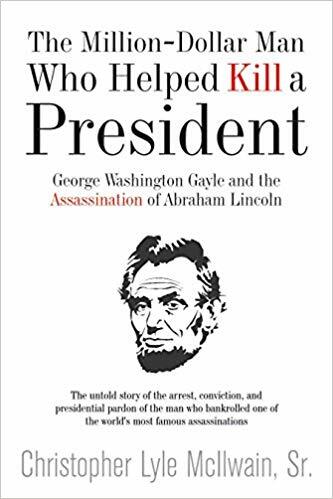 • The Million-Dollar Man Who Helped Kill a President: George Washington Gayle and the Assassination of Abraham Lincoln by Christopher Lyle McIlwain, Sr. (Savas Beatie, 2018). I don't have a great sense of when the modern peak period was (perhaps the years surrounding the publication of Blood on the Moon), but it does seem like Lincoln assassination books appear with lesser frequency these days. The spigot is never turned off, though. Christopher McIlwain is one of those many lawyers drawn to writing serious Civil War history. 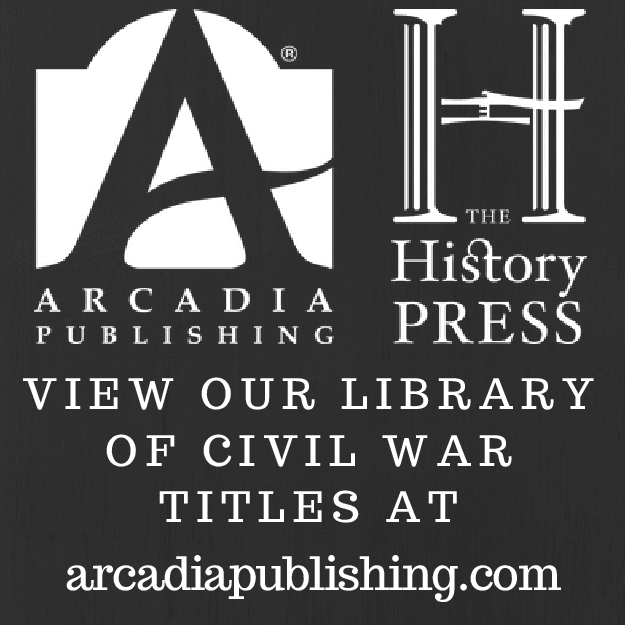 The author of a companion pair of well-received Alabama state histories—Civil War Alabama (2016) and 1865 Alabama: From Civil War to Uncivil Peace (2017)—he now turns his attention to a lesser-known figure in Lincoln assassination studies. 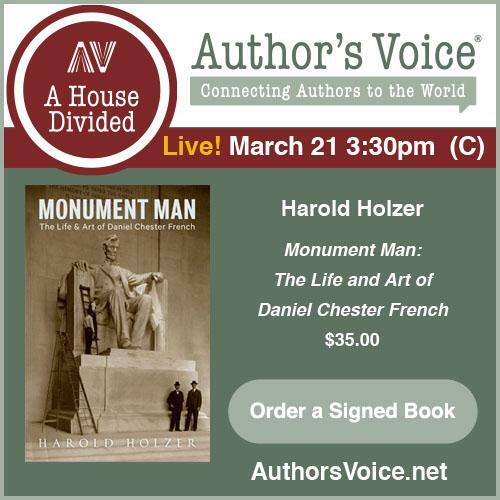 His new book The Million-Dollar Man Who Helped Kill a President argues that the true motivating force behind John Wilkes Booth's determination to kill the president was money raised by radical secessionist lawyer George Washington Gayle. From the description: "The deadly scheme to kill Lincoln, Vice President Andrew Johnson, and Secretary of State William Seward was Gayle’s brainchild. The assassins were motivated by money Gayle raised. Lots of money. $20,000,000 in today’s value. Gayle, a prominent South Carolina-born Alabama lawyer, had been a Unionist and Jacksonian Democrat before walking the road of radicalization following the admission of California as a free state in 1850. Thereafter, he became Alabama’s most earnest secessionist, though he would never hold any position within the Confederate government or serve in its military. After the slaying of the president, Gayle was arrested and taken to Washington, DC in chains to be tried by a military tribunal for conspiracy in connection with the horrendous crimes." Apparently, Gayle became pretty widely known across the country for soliciting funds for an assassin's bounty (thus the "Million-Dollar Man" sobriquet) after publicly advertising his intentions in a newspaper. According to McIlwain, historians generally dismiss Gayle's direct involvement with the plot, but the author attempts in the book to demonstrate otherwise, though he readily admits that his case is based only on circumstantial evidence. It might have the greatest bibliography size (50+ packed pages) to page length (140 pages of narrative) ratio of any study I've come across. More from the description: "There is little doubt that if Gayle had been tried, he would have been convicted and executed. However, he not only avoided trial, but ultimately escaped punishment of any kind for reasons that will surprise readers." You'll have to read the book to find out. 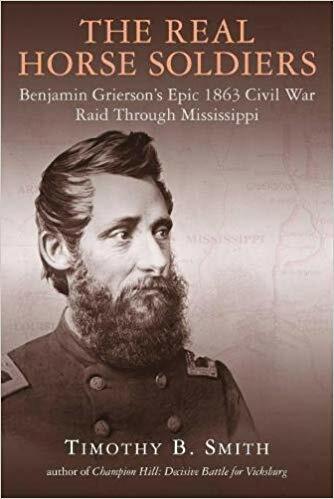 • The Real Horse Soldiers: Benjamin Grierson’s Epic 1863 Civil War Raid Through Mississippi by Timothy B. Smith (Savas Beatie, 2018). General Grant ordered a number of diversionary movements to mask the main crossing of his army below Vicksburg. As April turned to May, when the Army of the Tennessee finally did land on solid ground in Mississippi near Bruinsburg, the Confederate response could only be charitably described as disorganized. The consensus among Vicksburg Campaign historians is that Benjamin Grierson's cavalry raid, which sowed destruction and confusion in the Mississippi interior, was a significant factor in ensuring that the early stages of Grant's inland movement did not meet concentrated opposition. Not exactly neglected, the history of the raid has been recounted in several books (most notably the writings of Dee Brown and Ed Bearss), but Timothy Smith's The Real Horse Soldiers: Benjamin Grierson’s Epic 1863 Civil War Raid Through Mississippi promises us the first full treatment of the operation. From the description: "For 16 days (April 17 to May 2) Grierson led Confederate pursuers on a high-stakes chase through the entire state of Mississippi, entering the northern border with Tennessee and exiting its southern border with Louisiana. The daily rides were long, the rest stops short, and the tension high. Ironically, the man who led the raid was a former music teacher who some say disliked horses. Throughout, he displayed outstanding leadership and cunning, destroyed railroad tracks, burned trestles and bridges, freed slaves, and created as much damage and chaos as possible." Many readers will be familiar with John Ford's The Horse Soldiers (1959). While the well-known film is obviously referenced in the book's title, it doesn't appear that the movie, which was based on the Harold Sinclair novel of the same name, is part of Smith's discussion of the raid (perhaps because the intersection of history, novel, and movie has already been thoroughly examined in Neal Longley York's book Fiction as Fact: "The Horse Soldiers" and Popular Memory). Anyway, the book looks like another winner from Smith, who continues to produce original western theater scholarship at a positively Hess-ian pace.